We’d be delighted to help you with your wedding, holiday party or other special event! 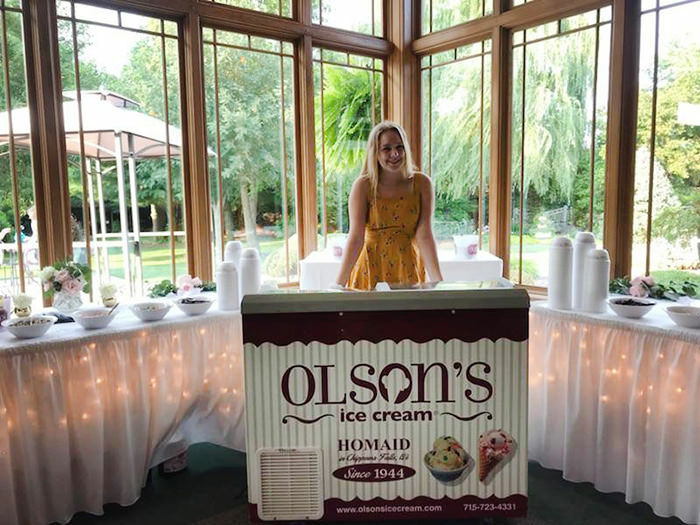 Everything you need to serve your favorite Olson’s ice cream at your next event. We deliver, setup, scoop, and clean up for you. Includes ice cream, cups/cake cones, spoons and napkins, display freezer rental and members of our energetic team to scoop ice cream. Our full-service option is available only within a 30-minute drive from downtown Chippewa Falls and Eau Claire. Contact us today for pricing and to book a tasting. Option 1: You transport, setup, and scoop ice cream. We can provide any of the following: cups, spoons, napkins and ice cream scoops. Our ice cream freezer is available to rent (maximum 30 min. drive from downtown Chippewa Falls and Eau Claire). Option 2: Buy and serve 10 oz. 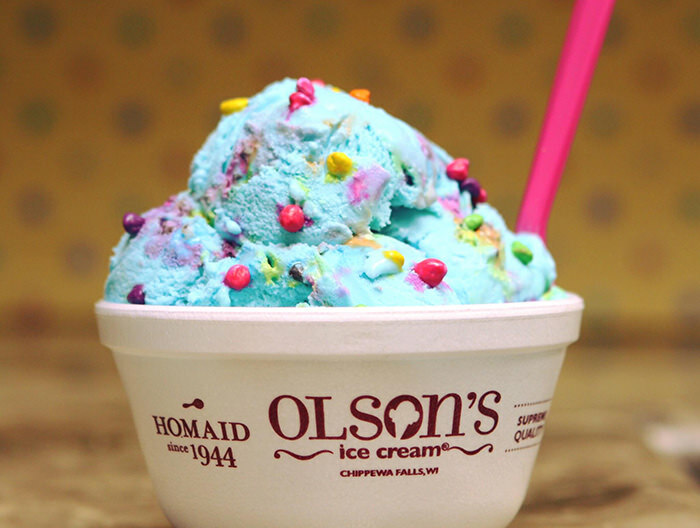 covered Olson’s cups filled with your favorite ice cream flavors. Serve and store yourself or rent our ice cream freezer. Minimum order is 72 cups. Contact us today to learn more and to book a tasting. Yes, we would be delighted to help make your day special! You can choose to have our team supply everything from the ice cream to cups, spoons, and scoopers, or you can choose to buy, transport, and scoop the ice cream yourselves. What area does your catering service cover? We cater to approximately anywhere within a 30 minute drive from our store in downtown Chippewa Falls and Eau Claire. How many flavors do you offer with catering? We typically serve 3 to 5 flavors at special events. You can sample any flavors at our store! We please ask that tastings and flavors are decided at least 30 days in advance to ensure we have the flavors you want scheduled (unless you pick flavors available in the store all the time such as vanilla, chocolate, mint chip, etc.). 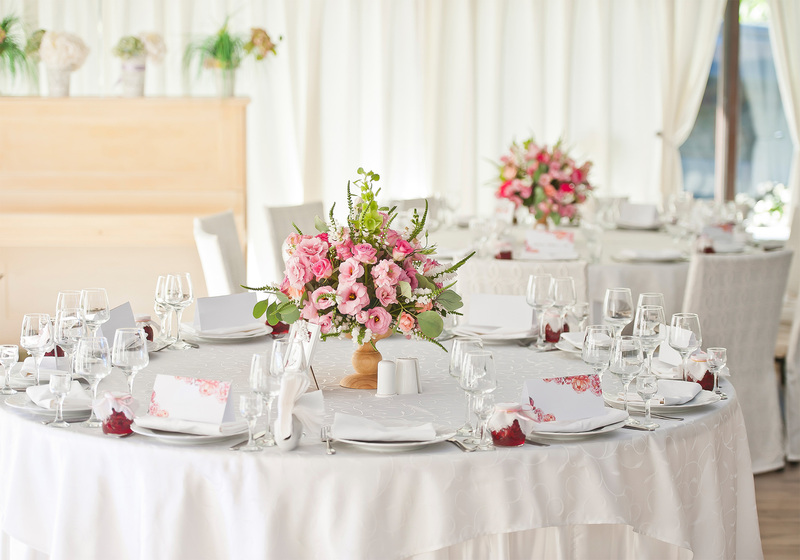 What is included with your catering service? In addition to the ice cream, we can also supply the cups, spoons, napkins, ice cream scoopers, and Olson’s display freezer. Alternatively, you can also choose to have our 10 oz. Olson’s styrofoam cups filled with your picked flavors with covers on. We can customize to what will work best for your event!